It’s the third week of 2017 and I am feeling rather philosophical. I’ve been off green tea for a while, so that can’t be the reason for the latter. If anyone were to ask me for my all time favourite pieces of advice, I’d land them with 1.) Eat the cake, or you will regret it tomorrow 2.) Let him make the first move and 3.) Lose the friend fat. There’ll always be a stubborn patch of fat that refuses to melt despite all your efforts in the gym, you only wish that it aligned in the 'right areas'. Looking through my ‘memories' almost daily, I see the ‘fat' I have shed. Constantly I am hit with the number of people who lost me, or whom I lost because they violated what I like to call a ‘Bro Code’. It amazes me how much a guy would do to salvage his friendship with his ‘bro’ and how little women do for their own friends. Notice how immediately a guy will stop hunting you down the minute you say you’re taken or you like someone else as opposed to saying that you’re simply not interested. Why? That’s Bro Code for you. Still don’t get it? Read on. It could be that he was your friend first, or that you think he suits you better. Either way, Female Bro Code dictates that you don’t flood his phone with ‘I Woke Up Like This’ Snaps in next to nothing. And I mean those non-mainstream nudes as well, where you need to WhatsApp him a picture of today’s notes in class but you ‘accidentally’ flash your genitalia. Once you’ve tried your utmost to bring them together and still fail, you must sit him down, and tell him that you have a contagious STD that transmits over text. Your BFF may not be dating your version of the *ideal* guy, but Bro Code dictates that you feign approval and pretend you’re charmed. If he is the loser you think he is, it will be only a matter of days or weeks until he proves himself. Then, you swoop in and clean up the mess and it will be all well and good! It could be the lighting or the fact that she, like me tries too often to carry melodramatic colours such as NYX's matte shade of Transylvania. When you notice her lips now resemble a ghastly sight of toilet and mud, you must tell her! The temporary humiliation she suffers with you is a trillion times better than having her bump into her office crush and him gaping at her with his palm across his face to stifle a scream. As her BFF, you remember the suffering she was subject to when trying to get over the uncouth cretin. Yet, in her drunken, stoned, premenstrual, menstrual, or menopausal phase you must confiscate her phone and hide it. If required, you can vacate the premises with the said phone. She will be thankful – eventually, after she has called you a few things that only Pirates can think of. Still, it’s Bro Code. If she’s in the mood for it, you must allow her to eat to her heart’s content. If she says anything about being/becoming fat you must laugh very loud and ask her to stop being ridiculous. You must insist on paying. If you notice that her sense of style has become sluggish and she’s worn the same top the last three times you’ve been out, you must raise questions. On the contrary, if her slit looks like it has been severed by a windmill, then this, too, calls for interrogation. If one must meet BFF’s Ex in a social situation which you have no escaping, fear not – there’s protocol for such instances. Instead of cowering about it three months later in a casual tone, Bro Code tells us that you must send an immediate text to her saying that you had to run into the vermin; slandering is very appropriate. Be everything but solicitous. Show her that you are on her side. There’s always a reason behind every action. If she does something out of the ordinary and you feel offended, do try asking her about it first. There’s no point in baking a beautiful cake and devouring half of it and asking if it’s fattening. 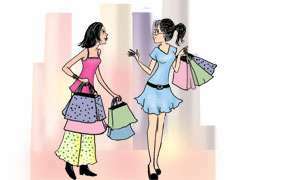 Ask, confront, talk – the last thing you should do is mention this very act to those around BFF who are bound to add layers of luscious lies to it. I recall a specific ‘seasonal’ who was so insecure about leaving me with her Boyfriend that she completely stopped talking to me. Years later, I ran into the Boyfriend’s friend who asked me why I never turned up for a few meetings – I had to say I never knew about it. 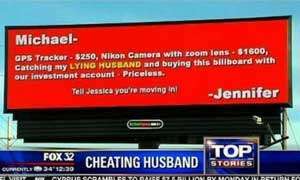 If your BFF is the type who’d steal your boyfriend, I’d say that she was taking out two bags of garbage. Let them. It’s not your problem until it happens. There you have it – unsaid rules to establish a Female Bro Code. It could be with friends you’ve known since you were in your diapers or someone you swap tampons with, having this special bond is like meeting a soulmate who never lets you down. Have I missed out on anything? Could you add anything to this? Share this with your BFF to let them know they’re special! Share your thoughts with me via Ms. 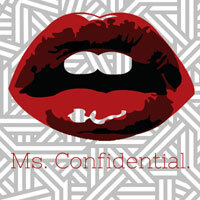 Confidential live on Facebook, Google+ or Twitter and look out for more reads on msconfidentialcolombo.blogspot.com!